Build your next custom longboard deck here for the best price in the market. We are here for you to save big on longboards with the largest selection in the market. Not only do we press, cut and drill longboards we custom print them with whatever you want on them. Need to get a complete with your graphics? We have you covered with a set of blank trucks and wheels that equally compared to some of the top brands on the market today. Reverse kingpin trucks are still on the rise offering excellent maneuverability. 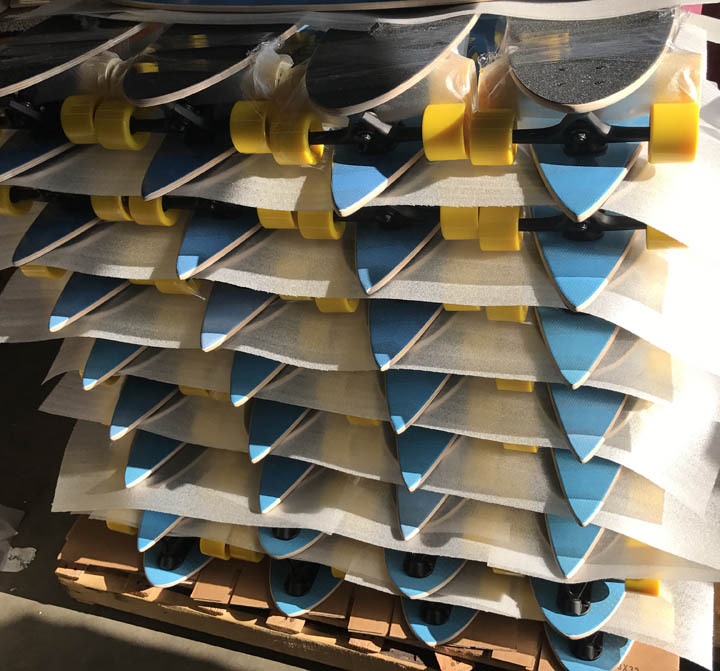 Best known for the lowest prices in the market due to our state of the art skateboard factory we have built over the last 22 years.